Weather Report: Low 55, High 85, Sunny. 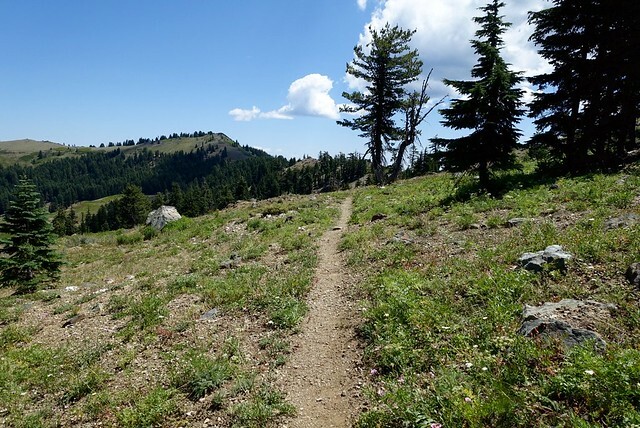 There wasn't anything really to write about today: the trail bounced between 5500 and 7000 feet or so, in and out of forested glades, through grassy hillside meadows, and across silvery mica-strewn slopes with views south to Mt Shasta, some 60 miles away. 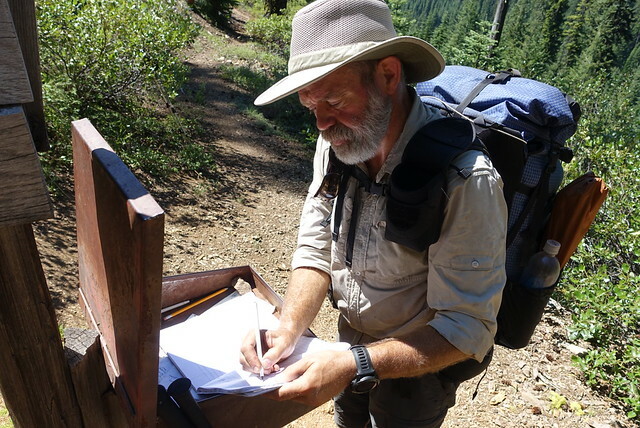 Midway through the day the PCT crossed into Oregon, and crossed a few jeep roads here and there. The wildflowers were the same as they have been for the last few days, the trees haven't changed to different species, the weather is mild. 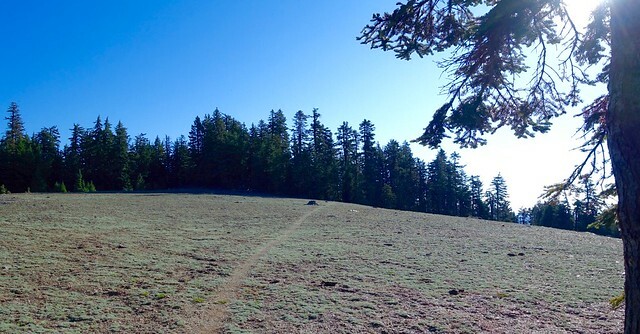 In normal life, I'd love today's hiking, getting out and seeing some place new and anticipating it for weeks, even if this is just a 'transition' section of the PCT, tying together the heights of the Marble Mountains to the more higher elevations of the Cascades. 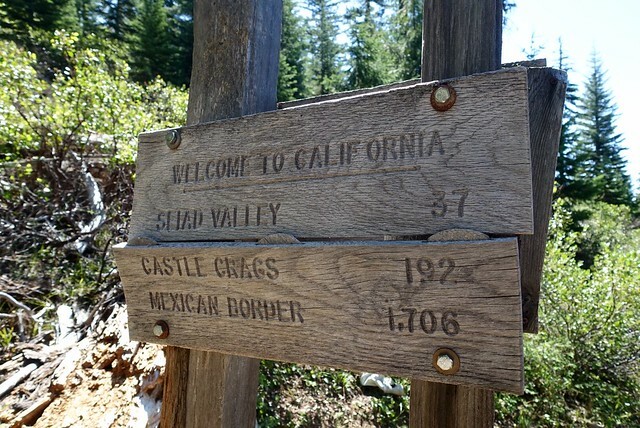 Where I'm now isn't quite normal--I started hiking the PCT on March 17, four months ago, and even with the few breaks I've had off trail I've been feeling I've been doing this for months and months and months. I'm watching myself become disinterested with the scenery, and unappreciative, and becoming blasé about the whole thing. That's making me a bit angry--I should be enjoying this! Then I said "OK. I'm going to do the North Cascades, and the others can wait." So the PDX option turned into the SEA option: rent a car in Ashland, drive to Seattle. At lunch I called Chris up and we figured out that I could get a weekly car rental, drive from Ashland to Seattle, and then make my way to Snoqualmie Pass to finish up the last 240 miles of the PCT and then return home. That's one week of driving, two weeks of hiking, then a few days to travel back via Vancouver BC to Seattle and fly home. Tomorrow is a 15 mile walk down to Callahans, overnight there (or in Ashland, it's all TBD), then pick up the car at the Medford airport for a weeklong roadtrip. I'm thinking I want to go to the untouristy parts of Oregon--far eastern Oregon, the Steens, the Odwalla mountains (well, not the juice mountains, but the mountains that sound like them). 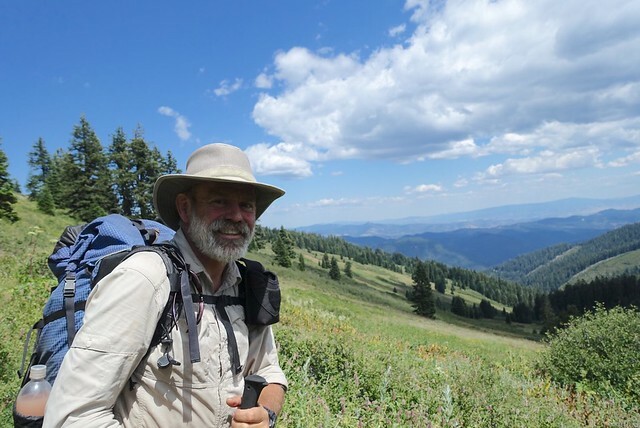 Then back to Portland to catch up with a good friend (Mr Fin Cubed) and up to Seattle on Monday... and figure out a ride to Snoqualmie Pass on Tuesday to get going again on the last sections of my PCT not-really-a-thru-hike. That's the plan, and I'm relieved that there's a bit of closure on this PCT obsession I've had this year. The other sections will still be there, it's not going to take many more weeks of long walking days to see them, and I have a fairly good idea when I'll be back home--sometime mid-August. I like it a lot.